Bites are generally when the spider is disturbed in bedding or clothing but it is thought that they will also bite when unprovoked. They will be found in corners of ceilings and walls of basements and all over the house. 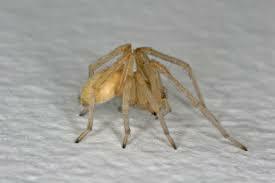 Sac spiders are a nuisance and should be treated with insecticides when large numbers are present in homes. They will be found outdoors and indoors throughout the season.